Description: White Mouth Blown OpalGlass Orbs are crowned by Gold Matte finished saucers on this Bola Plato Cascading Pendant. Handsome hardware is featured in a complementary finish. 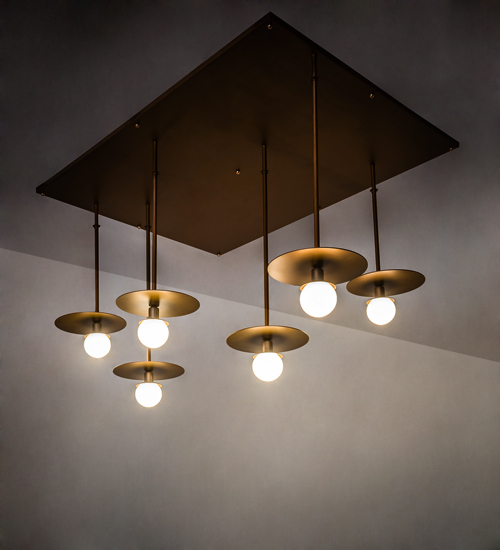 Each of the 6 pendants are featured below the rectangular canopy. Custom crafted by highly skilled artisans in our 180,000 square foot manufacturing facility in Yorkville, New York. Custom sizes and finishes available. UL and cUL listed for dry and damp locations.